Whenever a debtor’s application for credit is denied, the credit issuer is required to give the debtor, on request, a copy of any credit report that was used in making the decision. Otherwise, debtors can obtain their credit reports from the major credit bureaus. 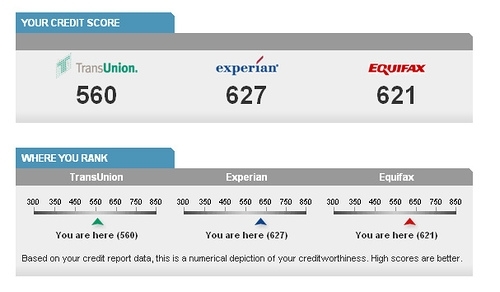 These reports are free once (1) a year at http://www.annualcreditreport.com . If there are errors in a report, such as an incorrect social security number or the listing of a debt that is not owed, the debtor should make a request for correction in writing to the bureau, enclosing copies of any documents that would establish the correct facts.